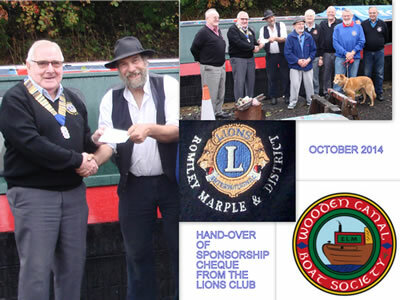 Lion President Pat Brady and other members of the Romiley and Marple Lions Club presented a cheque recently to the Wooden Canal Boat Society who are based in Stalybridge. 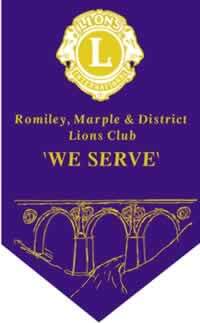 The Lions have supported this worthwhile cause for many years. Lion Pat is seen presenting the cheque to Chris Leah from the Wooden Canal Boat Society. Also in attendance from the Wooden Canal Boat Society were Kath Walls and Anne-Louise Black.